Gnosticism is an ancient religion stemming from the first century (approximately), and is an alternative messiah-religion that shares many features with Christianity. There were a huge number of Gnostic groups1,2, sharing a common set of core beliefs. An inferior angelic being created the Earth, and this being is a hindrance to spiritual development. Many Gnostic schools taught that the Hebrew Scriptures were the religious creation of this inferior god2. To trick this god out of power, a saviour was sent by the true god, and the sacrifice of this innocent man undermined the power of the old god, allowing the possibility for people to become saved and align themselves with the true god. Gnosticism was heavily attacked by the first Christian anti-heresy writers. 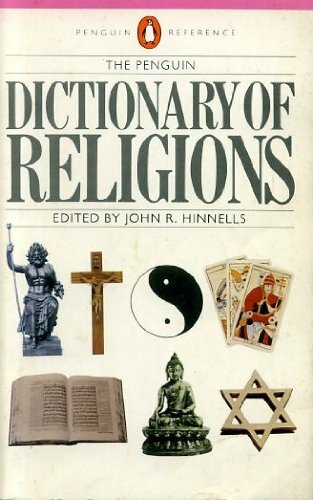 Some authors such as Freke & Gandy (1999)3 argue that Christianity as we know it is a shallow version of Gnosticism which has mistaken symbolic stories for real ones3, whereas many academics find that the historical and archaeological evidence is unclear: Christianity and Gnosticism are related, but, and although we don't yet know which one came first, it seems that early Christianity was much more Gnostic than it is now, and perhaps the Gnostic/literalist divide simply didn't exist for the first two centuries of Christian history. By the 7th century, literalist Christians had overwhelmed Gnosticism and related forms of Christianity, leaving us with modern Trinitarian Christianity. Hence, Gnostic Christians believe that the God of the Old Testament, the God of the Jews with its tough and harsh covenant and punitive and hateful nature, is the inferior creator-god of this world. In order to escape, and embrace the true, ultimate godhead, you must escape from the creation of the inferior god. Jesus was sent to provide the knowledge required to break free from this world. This is a complicated affair, and the general opinion of Gnostics is that not many people are capable of realizing the truth, and breaking free of the shackles of this world 7, thus Gnosticism is often called a mystery religion, a form of religiosity that was popular in the Roman Empire, and wherein the basic idea is that hidden teachings are placed within external mysteries (stories) that can only be properly understood once you have been told the secret of their interpretation. Gnostics believe that this world, this material, Earthly existence, is the creation of an inferior deity who needs to be escaped from. It is clear that Gnosticism and early Christianity are intrinsically linked. Almost all discovered Gnostic manuscripts are connected with Christianity, "in that it is usually Christ himself who brings the knowledge necessary for liberation. As Jesus himself is recorded as saying in the Gospel of John: 'You shall know the truth, and the truth shall make you free' (John 8:32)"6. Such gnosis can explain a great deal of the features of early Christianity. 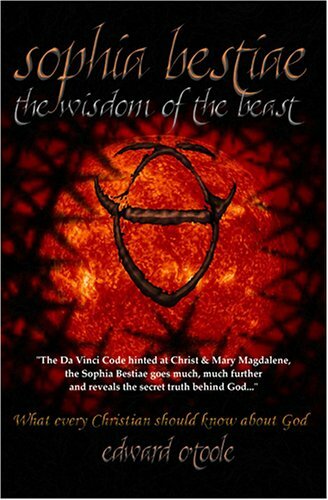 "Sophia Bestiae" by Edward O'Toole (2006)13 is a unique retelling of the Gnostic story, opening with a wonderful and intriguing epic history of the creation of all the aeons through to the creation of the Earth, and steps that the supreme, true god takes to tackle the misguided god of this world. 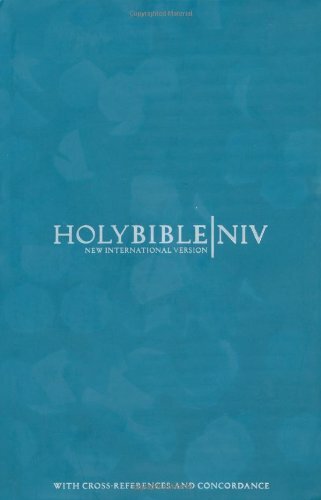 It includes long lists of relevant biblical verses although it is not an academic book, its central Gnostic creation story is a great read and gives a good understanding of the complexities of Gnostic theology and cosmology. Gnostics revelled in signs and symbols rather than in literalism. Their 'outer mysteries' were shown to the public, who could only ever understand them as simple stories. Gnostics, those in the know, knew what the characters and objects in the stories really represented, and so, they knew the inner mysteries. These inner mysteries were the profound truths of Gnosticism. Gnostics and Jews had in similar an inclination to concoct clever word games, for Hebrew was a subtle and complex language where many phrases and words could merge together to form new meanings and ambiguity in meanings often formed the basis of songs, poems and stories. Revert back to the pre-orthodox (pre-Nicene) translation, in accordance with original manuscripts, and you revert to the phrasing that adoptionist Christians used, but which was suppressed and hidden by later literalist Christians. 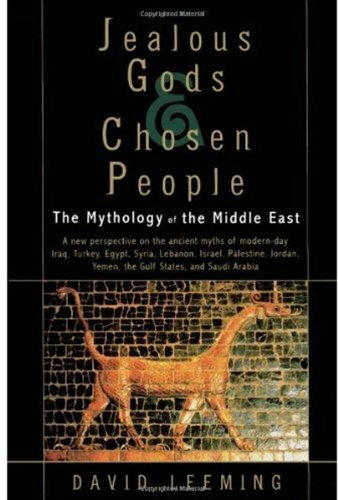 It is easy to see how adoptionism and Gnosticism go together: the True God of the universe seeks and finds a truly innocent man, someone over whom the old god of this world has no power. Upon his sacrifice, the old laws are swept away, and the true god can manifest its power in Earth at last, if only people understand the true situation and therefore save themselves through Christ, the saviour. These were the beliefs of Christians in the first century, and were espoused by the Ebionites and other Jewish sects too. In the second century it was famously espoused by Theodotus of Byzantium19, but, from that time onwards it was heavily oppressed by the rising power of literalist, Pauline Christianity. For more on docetism, see: "Docetism: Early Christianity of the 1st to 7th Century" by Vexen Crabtree (2017). In the history of Christianity there have been many ways to resolve the contradictions between Jesus being God, and Jesus being divine. In the centuries before the concept of the Trinity was invented, docetism was one belief professed by the very first Christians. It is the idea that Jesus was divine, but that to interact with the corrupt world was given the appearance of Humanity19,20. A lot of scripture supports this view. St Paul wrote that the Son came "in the likeness of flesh" (Romans 8:3). Joseph didn't impregnate Mary because Jesus didn't come from any physical seed. The reason Jesus didn't write anything himself or baptise anyone (John 4:1-2) is because he was a phantasm and could not. 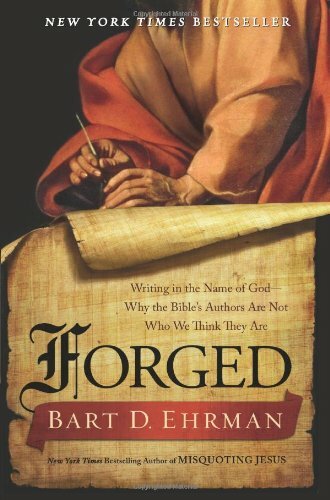 The evidence is that docetist Gospel of Peter was more widely read by the first Christians than Mark's21. Despite their early popularity, after the rise of Cappadocian and Pauline Christianity the docetists were forcibly silenced and mostly eradicated22. There are clear signs that this form of Christianity predated the ones we know today, and, those Gnostics who were not adoptionist were docetists. The former believed that Jesus was a real person, whereas the docetists believe that the True God sent a being that was born without a fleshy, human body, as the sacrifice that was required to trick the inferior god of this world had to be done on a being not of this world. After the sacrifice of the Christ, the old god will have lost its power over humankind due to it overstepping its boundaries, hence, bringing salvation from the strict laws and rules of the god of Moses. Such beliefs were recorded in documents such as The Gospel of Peter (which, needless to say, was rejected from the NT canon by the literalists). Docetism was popular enough amongst Christians that multiple authors and Church Fathers wrote arguments against them. The author of the Gospel of John specifically went out of its way to awkwardly state that "the Word became flesh, and dwelt among us" (John 1:1,14). Other anonymous letters and texts which accepted the Gospel of John were later named after John and the resulting literature called Johannine texts. 1 John 4:2-3 says that you can only be godly if you confess that Jesus was physical - docetists, says 1 John, are of the antichrist. Another Christian wrote against docetism in the name of John, and also said that docetists were ungodly. Despite being a forgery, the letter became known as the Second Epistle of John (2 John) and was also canonized in the New Testament, no doubt because the Cappadocian/Nicene Christians found it so useful to back up their belief in a physical fully-God and fully-Human Jesus. Christian theologians Ignatius of Antioch (died between 98 and 117CE), Irenaeus (115-190CE), and Hippolatus (170-235CE) wrote against the error in the first few centuries23. Around 197-203CE the Bishop of Serapion of Antioch wrote against docetism after finding it in Rhosus, specifically, he wrote against the Gospel of Peter in a tract he titled "The So-Called Gospel of Peter" pointing out that although it was mostly correct, the Gospel of Peter could not be used because it supported docetism.24. St. Jerome (died 420CE) complained that "while the apostles were still surviving... the Lord's body was asserted to be but a phantasm"25. In 451CE, the great Christian Council of Chalcedon also condemned docetism23. Even though the orthodox hunted down and tried to eradicate heretics with increasing violence, the use of the Gospel of Peter continued until at least the 6th/7th century26 by which time the physical and literary dominance of Pauline / Nicene Christianity had become so great, it was getting very hard to imagine Jesus in any other way but theirs. This section is taken from "St Paul - History, Biblical Epistles, Gnosticism and Mithraism" by Vexen Crabtree (1999). Yet Freke and Gandy conclude that he was actually neither a gnostic nor a literalist. 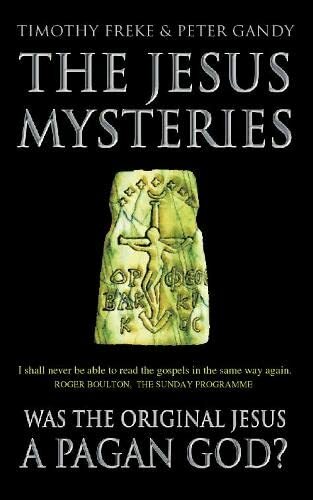 A large chapter of their Jesus Mysteries hypothesis is dedicated to showing us the many ways in which early Christianity was a Mystery religion, which was later replaced by Christians who only interpreted its vegetation myths literally rather than spiritually. They conclude that although Paul's genuine teachings were gnostic, Paul was neither for or against Gnosticism, because literalist Christianity did not yet exist, so there was no "side" to be on. “Upon reflection we felt that to call Paul a Gnostic was, in a sense, misleading. 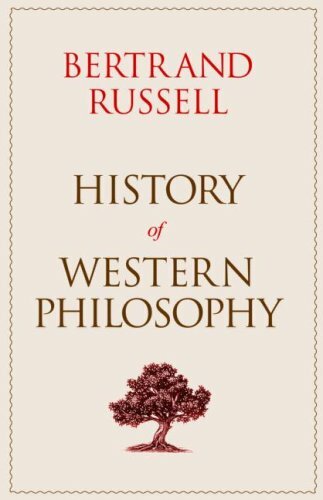 The more we looked at the evidence we had uncovered, the more it seemed that to apply to the terms 'Gnostic' and 'Literalist' to the Christianity of the first century was actually meaningless. From Paul's letters it is clear that the Christian community of this period was deeply divided, yet this schism was not between Gnostics and Literalists, as was the case by the end of the second century. Paul is neither anti-Gnostic nor pro-Gnostic, because in his day the great schism between Gnostics and Literalists had yet to occur. Paul's anti-Gnostic Pastoral letters are fakes, forged in the late second century34. In the genuine letters Paul is not anti-Gnostic and never mentions an historical Jesus. Literalist Christians of the early second century attack Paul, who they claim 'contradicts' the true teaching and is the 'adversary' of Jesus. Paul was born in Tarsus, a major centre for the Pagan Mysteries, and often uses terms from the Mysteries in his letters. He even calls himself a 'Steward of the Mysteries of God', the term for a priest in the Pagan Mysteries of Serapis. Paul quotes Pagan sages and teaches Pagan doctrines. The great secret that Paul claims to be able to reveal is not that Jesus literally walked the Earth, but the mystical revelation of "Christ in you"
The Gnostics despaired as a new form of popular Christianity arose which only understood the simplistic outer mysteries. “In a Gnostic gospel called The Apocalypse of Peter, the risen Jesus calls Literalist Christianity an 'imitation church' in place of the true Christian brotherhood of the Gnostics. 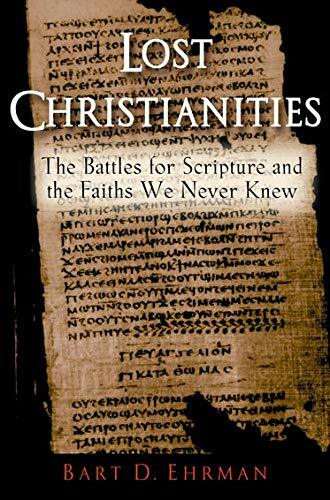 [...] Literalist Christianity preached only the Outer Mysteries of Christianity, which they called a 'worldly Christianity' suitable for 'people in a hurry'. Gnosticism, by contrast, was a truly 'spiritual Christianity' [...]. Irenaeus mentions the Cainites near the end of the book 1 of Against Heresies. [...] Why would any group of religious believers identify themselves with Cain, of all people? It must be remembered that these Cainites were Gnostics, who believed that the creator god of this world - the one who punished Cain for disobeying him - was not the true God but a lesser, inferior divine being. The Cainites evidently believed that in order to worship the true God you needed to oppose the god of this world. And if this god was against Cain, then Cain must have been on the side of the true God. [...] According to Irenaeus, the Cainites saw Korah as one of the heroes of the faith. This is a figure who opposed Moses and urged a rebellion against him; in response, God caused the earth to open up and Korah and all his family were swallowed alive (Num. 16). Irenaeus explains that the Cainites also revere Judas, who through his actions allowed a trap to be snared, for through the murder of a truly innocent spirit, the fake God of this world (as the God of the Old Testament) was overthrown, and the true god was revealed. (1999) "St Paul - History, Biblical Epistles, Gnosticism and Mithraism" (1999). Accessed 2018 Apr 23. 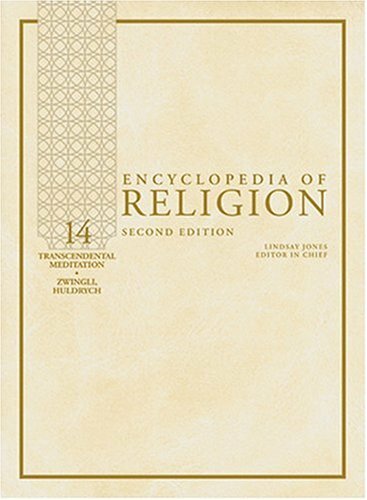 (2003) "Types of Christianity in History: Who Were the First Christians?" (2003). Accessed 2018 Apr 23. (2017) "Mithraism and Early Christianity" (2017). Accessed 2018 Apr 23. (2006) Sophia Bestiae. Pre-release edition. Published by Aestheteka Press. 2006 Jun 06. A paperback book.